Children get their school places today. In Sunderland 95% of primary youngsters have clinched their first choice school place. Today parents across the country are finding out if they have managed to get their first choice of primary school for their children. In Sunderland 95% of children have been allocated their first choice place at one of the city's 83 primary schools. Across the city 2,887 children applied for places at infant school to start in 2019 and 2,731, which is 95%, have clinched their first choice - the same percentage as last year. A further 106 children, 3.7%, have been offered their second choice, compared to 3.3% last year. And, 14 of the youngsters, 0.5%, have been offered their third choice, which is the same percentage as last year. A total of 36 children have not yet been allocated a primary place for September, compared to 34 children at this stage last year. And, in County Durham more than 95% of children will go to their first choice of primary school this September. 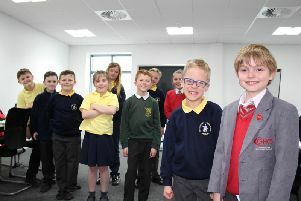 A spokesman for Sunderland City Council, said: "The vast majority of parents and carers in Sunderland all get their first primary school choice. "If it has not been possible to do this, then information about the appeals process is within their notification letter. "Parents and carers have a right to appeal to an independent appeals panel who will consider their individual reasons and make a decision on whether to uphold the appeal or not. "Applications received where the council hasn't been able to offer any of the schools that have been applied for, can be because only one preference was received." School standards minister Nick Gibb, said: "Any school place offer day is a big event for families, but parents should be reassured that the improvement in the school system means that they would probably find the schools themselves unrecognisable from a generation ago. "Even in instances where parents aren't getting the news they hoped for today, the likelihood is that their child will be attending a school which will provide a first-class education."